they still make me smile. oh man, best thing ever! 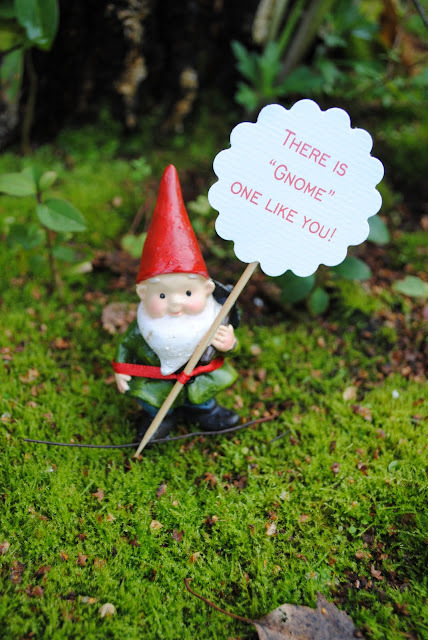 i love gnomes...that movie gnomeo and juliet? i may even have to see it! Alexis, I'm searching the internet with no luck. Where did you buy your miniature gnome!? LOOOOVE him! Suzy, I have no contact info for you...email me!